Southern Cottage Girl: Permits are In! I just got a call from my husband who is on his way to city hall to pick up our building permits. So exciting! This is a picture of the very back of the lot. 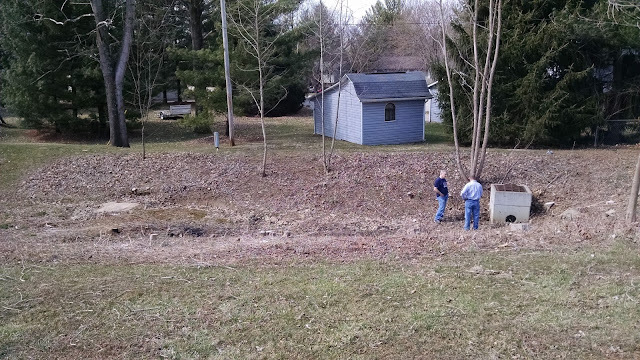 We have a culvert, as you see, down in a drainage area. The little building is not ours, it's our neighbors behind us. Other then that little shed, there are no other structures out the back. The development is built out, and we purchased this one remaining lot, so we are the last to go in. We want to cover up that culvert, it's an eyesore, so watch for future updates on that project, and the building of southern cottage, on my "building updates" page. Let the adventures continue!